Get First ScotRail train times and tickets. Travel from Glasgow or Edinburgh to London and more and explore the beauty of the Highlands and Border country, with many excellent discounts available with online booking for ScotRail. With the cultural and historic city of Glasgow as its main hub, ScotRail is the main railway provider for the whole of Scotland, and provides links with English services that add to the convenience. Scotland’s premier rail service offers routes from Glasgow to the surrounding areas and beyond, and serves a great number of interesting and important cities and towns in the country. ScotRail not only operates railways but offers a bus and ferry service covering some of the more remote destinations and many of the Scottish islands, and is a well used network with a great catchment area. The Scottish mainland is home to some of the most attractive and interesting cities in towns that the UK has to offer, and most are served by First ScotRail in one way or another. With stops from Glasgow, Edinburgh, Aberdeen, Inverness and many stations along the Scottish routes to at least 23 stations in London, you can easily see why no other UK railway company provides better connection between Scotland and England. Glasgow itself is a city worthy of a visit and is home to many interesting museums, cafes and bars, in particular those relating to the works of the great local artist and inventor Charles Rennie Mackintosh. Glasgow also boasts some wonderful architecture and a lively, vibrant nightlife, as well as major sporting prowess in the shape of the two football clubs, Celtic and Rangers. By ScotRail passengers can take a direct journey to the Scottish capital, Edinburgh, surely one of the most beautiful cities in Europe. From the splendour and majesty of Edinburgh Castle to the wonderful shopping and eating on Princes Street there is plenty to see and do, not forgetting the most recent new arrivals, the pair of Giant Pandas installed in Edinburgh Zoo! The Scottish Highlands offer breath-taking scenery that is hard to beat anywhere in the world, and much of ScotRail’s network traverses the mountains in the country. At Inverness in the north passengers can visit some stunning locations and take in the northernmost attractions of the UK. The Islands around Scotland are a varied bunch and ScotRail offers ferry services to many, while mainland cities such as Perth and Aberdeen, Dundee and Arbroath are also very attractive destinations for visitors. Railways in Scotland are steeped in history and some of the very best of UK engineering can be seen in the stunning Forth Rail Bridge, an iconic structure famous across the world, and the glorious attractive Tay Bridge with its unique curving structure. The ScotRail network extends south to the famous border town of Berwick upon Tweed, and then into Northumberland to Newcastle Central Station - itself an engineering marvel - and from there across country to Carlisle in Cumbria, from where passengers can take a detour on the legendary Settle-Carlisle line, regarded as one of the most attractive of all railway routes in the UK and Europe. 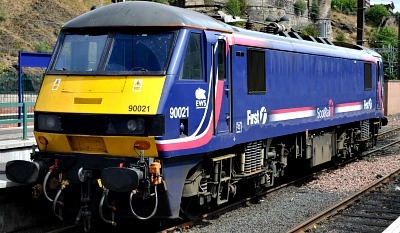 Furthermore, ScotRail also operates the famous Caledonian Sleeper, an overnight train that runs from Scotland to London Euston, a route that keeps the Scottish people in touch with the UK capital. You can check First ScotRail train times and book discount tickets in advance here and save up to 70% on your Scotrail fare by using the TheTrainline Best Fare Finder. Just enter your starting point and destinations and get the cheapest options available. With a range of discounts available to those who book in advance ScotRail can offer excellent savings on rail travel from the north. Among the more impressive of offers is the Bargain Berth ticket for the Caledonian Sleeper, an option that gets the passenger a trip to London for less than £20 if booked 12 weeks in advance. Many other discount offers apply, and it is worth looking for group bookings and seasonal offers that may result in spectacular savings over the standard ticket price. For tourists the attraction of a rail holiday in Scotland is made more so by the number of cheap offers that First ScotRail has available, and for commuters Scotland’s major rail provider offers excellent season ticket and day return deals, all available for booking on the simple to use and well presented website.